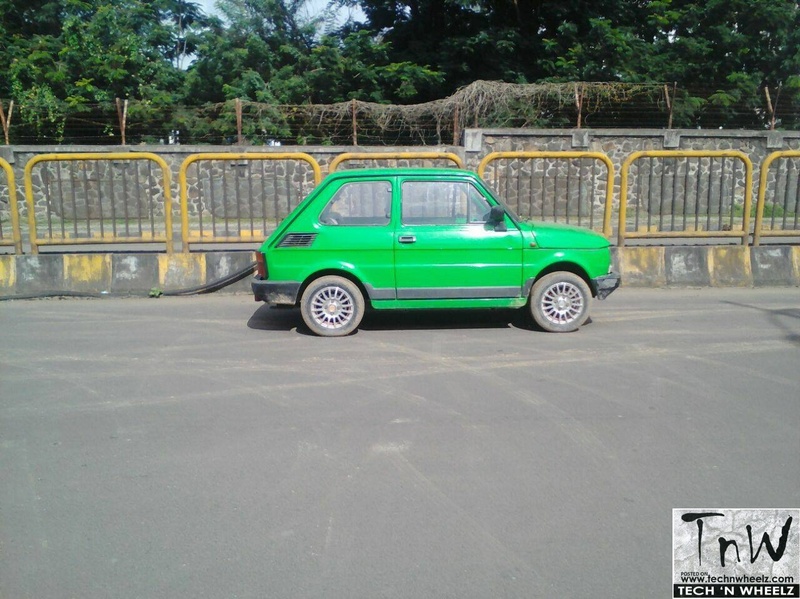 The Fiat 126 (Type 126) is a rear-engined, small economy or city car, introduced in October 1972 at the Turin Auto Show as a replacement for the Fiat 500. The majority of 126s were produced in Bielsko-Biała, Poland, as the Polski Fiat 126p, where production continued until year 2000. In many markets Fiat stopped sales of the 126 in 1993 in favour of their new front-engined Cinquecento. At a vehicle length of 3.05 metres, the Fiat 126 is almost exactly the same size as the original British Mini, and its total sales of almost 4.7 million units were in close range of the Mini’s 5.4 million. In Poland the car became a cultural icon and earned the nickname Maluch, meaning “The Little One” or “Toddler”. The 126 used much of the same mechanical underpinnings and layout as its Fiat 500 rear-engined predecessor with which it shared its wheelbase, but featured an all new bodyshell resembling a scaled-down Fiat 127, also enhancing safety. The front footwells, suspension, battery and spare wheel left little room for luggage in the 126 front trunk. Due to a relatively low price it was very popular in Poland and was arguably the most popular car there in the 1980s. Note: The tech spec and other details are sourced from Wikipedia and other online forums. Technwheelz is not responsible for any kind of misprints or mistakes in the article above.